CallCentre People Recruitment have packed up their cozy old office and moved into new purpose built premises, just a quick walk down Queen Street. 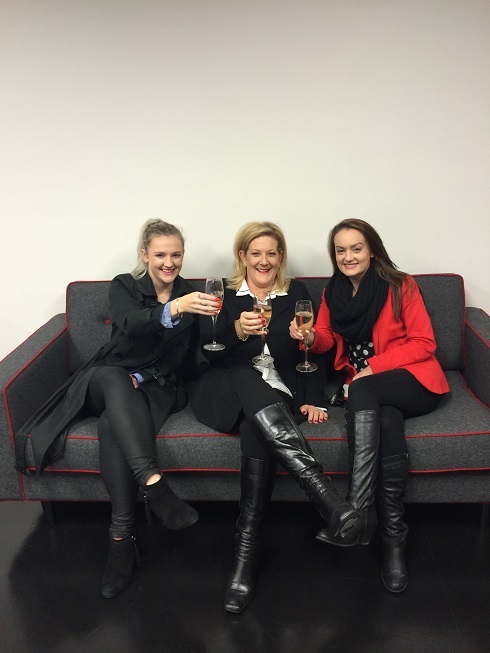 Paddy, Yvonne, Amber and Ann-Marie have settled in extremely well into their new office and love their new surroundings which have been finished to complement CCP’s corporate colours of red, dark grey and white. CCP’s team are always happy to have visitors so please don’t hesitate to pop in and say hello. You will now find them in Suite 204, Level 2, 87-93 Queen Street.